The April 30 – May 6, 2015, edition of Brian Cormier’s Weekly Update is out! Click here for a copy of this week’s newsletter. To subscribe, please fill out the form in the upper right-hand corner of my website. 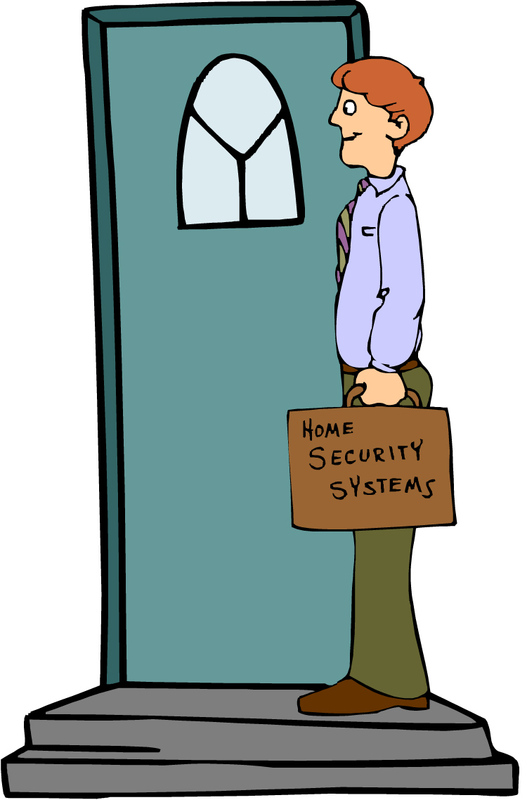 Hump Day: Is door-to-door selling even worthwhile anymore? The worst job in the world must be doing door-to-door sales. During a period of unemployment many years ago, I tried selling newspaper subscriptions that way. I made it to two houses before giving up. To say that it wasn’t for me is an understatement. In days gone by, selling door-to-door was an accepted way of doing business. Actually, it wasn’t that long ago that vacuum cleaner sales people would still show up from time to time. When I was a kid, I clearly remember the ‘fish man’ and ‘meat man’ showing up at my grandparents’ house in rural Prince Edward Island. My grandparents always bought something from the trucks. No one even blinked an eye. Today, it seems that there only a few who still go door-to-door: sport teams doing bottle drives, students raising money for schools, telecommunications companies, home security companies, the odd charity or two and evangelical religious groups. The only ones I give the time of day to are sport teams and students. Unless it’s someone I know personally, I won’t give to a charity going door-to-door. That’s what the Internet is for. I did my fair share of school and minor hockey fundraising as a kid. I know it’s a necessary evil. And yes, school fundraisers were happening 35 years ago, too. It’s nothing new. Every year, we sold either bars or chocolate-covered almonds. If you were lucky, you had relatives who bought most of them – or a father with a sweet tooth who ate them all and had to cough up the cash. While teams, students and charities may get a pass, the rest of them just aren’t welcome to invite themselves onto my property and interrupt me. Lately, I’ve been finding myself getting more and more annoyed when I hear the ‘ding dong’ and look outside to see no vehicle in the driveway. And needless to say, the dog is barking her brains out, which is enough to drive a person insane at the best of times. The other day marked the first of likely five times this year that I’ll be solicited to either change my telephone and Internet provider or sign up for some home security company. While I don’t envy the people who have the awful job of hearing ‘No!’ a lot more than they hear ‘Yes!’ I also really don’t appreciate the intrusion. If I wanted to change Internet providers or have cameras wired up to every corner of my house, I’d do it. I don’t need someone bothering me at the door to make me aware of my options. Trust me, the 50 or so flyers I receive every year in the mail from telecommunications companies remind me on a regular basis that I have Internet, home telephone and cable television options. The first sales person of the season arrived last week when I was in the middle of dealing with a printer that was acting up amidst looming deadlines when I heard ‘ding dong’ and the dog’s little white head exploded. By the time I made it to the door, I was practically livid anyway with the joys of a printer that decided to act up at a crucial time in the workday, only to find a representative wearing a corporate jacket who was wondering if I’d like to switch Internet companies. Now, normally I’m reasonably polite because I went through this years ago and can relate to how awful it can be. But today was another story. I opened the door, kept the little white dog with the exploding head away with one foot, and simply answered with, “I’m sorry, I’m not interested,” even before he said a word. Then, like the poor chap was trained, he tried to save the sale. I fully admit, I wasn’t the friendliest person in the world at that moment. He opened his mouth.“But sir…” He certainly wasn’t reading me well. I slammed the door, locked it and walked away. I felt horrible, but I just didn’t have time for a debate. I felt for the guy. I know he’s just trying to earn a buck, but I didn’t invite him into my world. He chose to impose himself. I work from home. I was busy. Good-bye! It probably won’t be the last time I end up slamming a door on someone this year, nor will it be the last time I’ll feel guilty. But really, haven’t we all had enough of these unwanted intrusions? I have a telephone and I have the Internet. If I want to do business with you, I promise to contact you! TransAqua, the Greater Moncton Wastewater Commission, announced today that its 2015 compost sales and collection season will begin on Monday, May 4, at its compost facility located at 399 Delong Drive in Moncton. Monday to Saturday: 8 a.m. to 4 p.m. The public is advised that the compost site will be closed on the following holidays: Victoria Day (Monday, May 18); Canada Day (Wednesday, July 1); New Brunswick Day (Monday, Aug. 3); Labour Day (Monday, Sept. 7); and Thanksgiving (Monday, Oct. 12). The compost facility will close for the season to the public on Friday, Oct. 30, at 4 p.m.
Free compost is available to residents of Moncton, Dieppe and Riverview who wish to self-load compost into their own vehicles. Should residents prefer not to self-load, TransAqua staff will load vehicles (i.e. non-commercial trailer and/or pickup-type truck) for a flat fee of $10. More information regarding the quality of TransAqua’s Type “AA” compost, as certified by the Bureau de normalisation du Québec (BNQ), can be found on TransAqua’s website at www.transaqua.ca/environment/compost. Detailed product information sheets are also available at the Delong Drive compost facility. Residents may also contact the compost facility by calling 387-7977. Please note that compost is not available at TransAqua’s wastewater treatment facility in Riverview. TransAqua, the Greater Moncton Wastewater Commission, (www.transaqua.ca) was established in 1983 to support the wastewater collection and treatment needs of the Dieppe, Moncton and Riverview tri-community. Since then, it has developed a 31-kilometre collection network and a treatment facility to best deliver on this mandate. It has also become a leader in the reuse of bio-solids through the generation of type ‘AA’ compost (the highest grade currently achieved in Canada) as opposed to disposal in a landfill site. The organization is now positioning itself to further upgrade its facilities to provide an enhanced secondary treatment approach that will allow it to meet recently introduced mandatory federal regulations prior to the 2020 deadline. 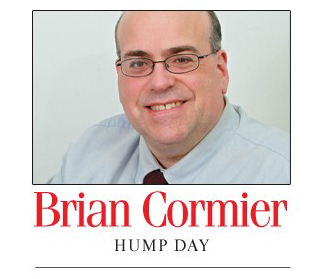 The April 23-29, 2015, edition of Brian Cormier’s Weekly Update is out! I heard a great saying recently which I’ve found myself repeating over and over: ‘Not my circus. Not my monkeys.’ Whenever I get the urge to ride in on my trusty white steed and get involved in an argument (usually online) which I find to be unfair to someone, I usually regret it. No; correction. I always regret it. Always. Through the years, I’ve had to learn to mind my own business. Unless the so-called victim is in a position of weakness (physically or mentally), they can usually take care of themselves. They don’t need me showing up like some blowhard willing to take over the battle for them. I hate it when people do that to me because they usually make things 10 times worse. After being reminded a number of times over the years, I’ve come to realize that most people don’t need me meddling. I usually make things 10 times worse, too. Actually, being the perfectionist that I am, I usually make them 20 times worse. Online battles are the worst because of the frequent anonymity of those taking part. I’ve been sorely tempted a number of times to start acting like a meddlesome old aunt in a soap opera in trying to defend people, protect them or help them win an argument. Over the years, I’ve sometimes given in to temptation and butted in, but it has always been to my profound and astronomical regret. What usually happens is that this meddlesome old aunt here gets yelled at and thrown in a nursing home called Shady Acres Home for the Incurably Nosey and Frequently Confused. We pretty much just spend our days with our hands tied down to the arms of our rocking chairs so that we’re not tempted to go online, and with extra-sticky duct tape over our mouths so that we’re not even able to talk. People can get into heated debates anywhere, but online battles tend to be the most volatile. Websites which still allow anonymous comments are sad places, indeed. If a news story is about a tragedy, someone is bound to chime in that the victims deserved it. If someone young dies in an accident, someone is bound to comment that they were probably drunk and should have known better. And God help any good news from government. I swear that the government (of any political stripe) could announce the happiest news on the planet – people could be cheering in the streets, editorials could be universally positive, Jesus himself could high-five every politician on shore after a leisurely stroll on the water – yet some anonymous twit will rain on everyone’s parade and criticize, insult, attack and demean. I’ve kind of grown immune to it, but it still gets to me sometimes. Earlier this week, an agreement was reached between a local municipality and a citizen to remove a roundabout at an intersection due to a human rights complaint. The individual, who is visually impaired, stated that she found it difficult to cross the intersection because the way it was designed meant that she could not determine from which direction traffic was coming. Fair enough. I’m certain there was no malice on the part of the municipality or those who designed the intersection. They simply wanted to alter traffic flow for a number of legitimate reasons, probably to slow down traffic in a busy area of town. I should not be surprised anymore, but online discussion among the anonymous twits swiftly went anti-government, anti-French, anti-this and anti-that. Some wondered whether the majority should have to pander to one person. Compassion and understanding are certainly not alive and well in online comments sections. Are we that pathetic as a society that a visually impaired person who wins a human rights complaint is attacked for their disability and for the language they speak? Municipalities can’t just alter infrastructure on the whim of one person unless there’s very good reason. In this case, it was determined that the reason was indeed very good. Live and learn. Move on. It won’t be the first time and it certainly won’t be the last time. 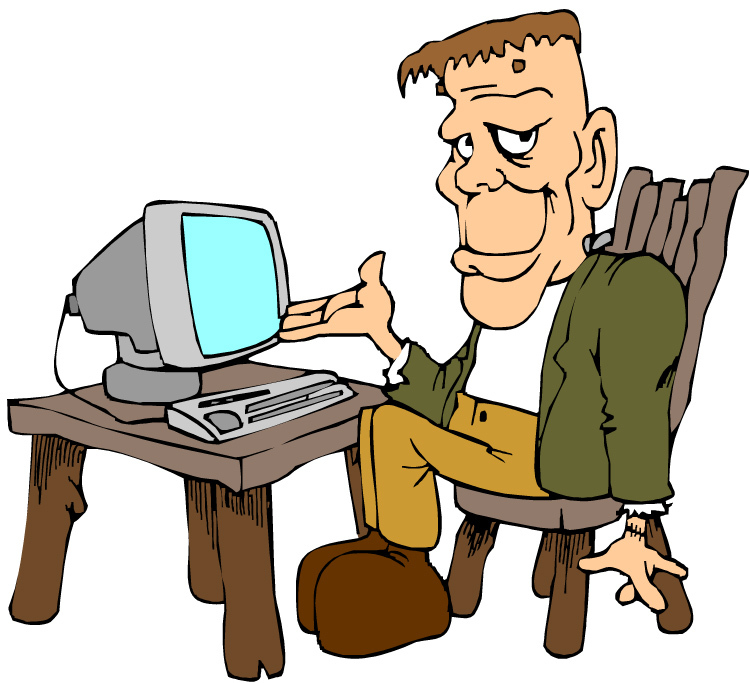 ‍Trolls can be the stereotypical knuckle-dragging Neanderthals who live in their parents’ basement and wear sweatpants all day, or they can look like harmless average Joe Blows just going about their daily business. That’s the scary part. Either way, we must declare war on ‍trolls. The grasslands on which they feed – the comments sections of media websites which still allow anonymity – must be torched. Media that change or completely close their anonymous online comments sections will have my eternal admiration. It’s an idea whose time has come.